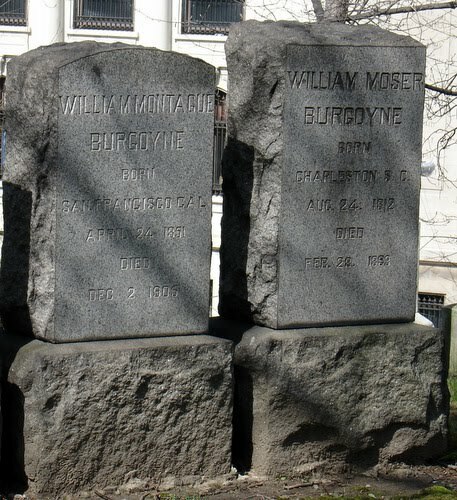 On Sunday June 20, 2010 beginning at 12.30, I’ll be leading a walking tour of Trinity Cemetery, focusing on the numerous connections between the cemetery and the adjacent Audubon Park Historic District. 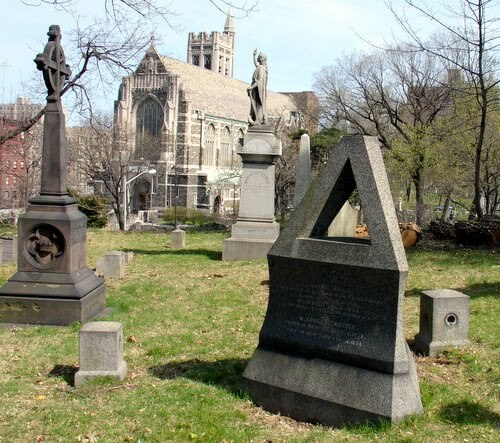 While the cemetery is the final resting place of well-known and famous people such as Alfred Tennyson Dickens, Clement Clarke Moore, Mayor Fernando Wood, and numerous Astors, this tour will focus on lesser known individuals, who often go unnoticed. Each of these people has a tie to Audubon Park, either through property ownership, friendship with the Audubons, or both. 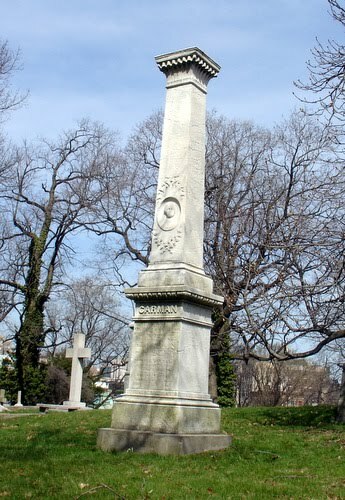 The tour will begin at Audubon’s monument behind the Church of the Intercession, Broadway and 155th Street and will last approximately one hour, followed by a question and answer session in the chapel of Trinity Cemetery. Part of the tour will include steps, hills, and occasionally uneven walkways, so be sure to wear comfortable, reliable shoes. 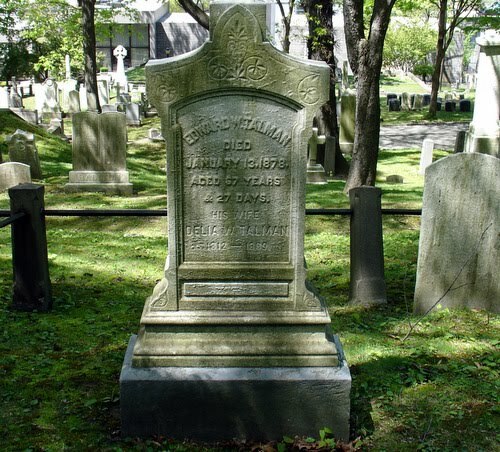 Following the Q&A, at 2 p.m. the Dan Aran Trio will perform a concert of jazz music at the Trinity Church Cemetery and Mausoleum, located in the western portion of the cemetery between 153rd and 155th Street. The concert is part of Trinity’s Concerts-To-Go series. Both the walking tour and the concert are free and open to the public. Comstock: a triangular marker for a triangular plot. 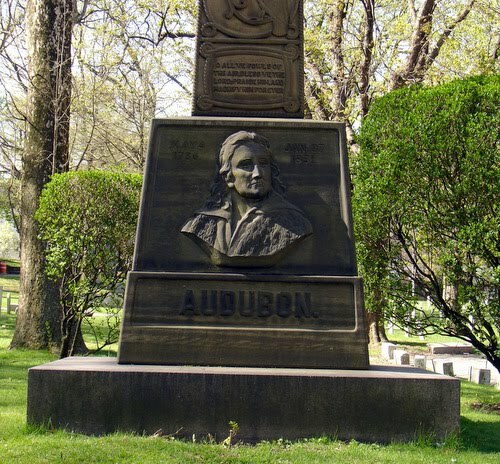 Posted in Audubon Park, Edward Talman, John James Audubon, M. Louise Comstock, Richard Carman, Samuel Valentine, Trinity Cemetery. Bookmark the permalink. Matthew, I am so pleased you are doing this tour. Just wish I could be there, but that won't happen till spring 2013 when the BIG ONE happens! Meanwhile, keep offering these tours and when I get there, you will be in top shape to give me the grand tour!